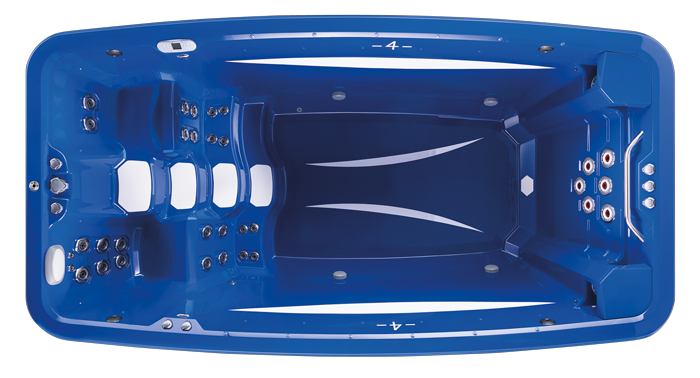 ATV™-14 Splash satisfies the water enthusiast who wants a less intense swim, stretch, soak or splash in the vessel. The Splash is equipped with a single swim tether point and a resistance rowing option to provide for versatile activity or relaxation in your lifestyle. ATV™-14 Sport steps it up to suit the swimmer seeking greater flow and greater resistance for rigorous workouts. The 3 two-speed pumps deliver swim workouts and strength and rehab conditioning exercises with low-impact for better health and wellness. Twin-end tether points offer more workout options with and against the flow in the Sport model.